We have created bespoke software that trawls the two largest property portals in the UK, namely RightMove and Zoopla to discover the latest property renovation projects that are new to the market (including properties up for auction). We then compile those renovation opportunities into a list and present it to list subscribers. List subscribers are then free to click through each property to get further details of the property renovation project. This process, if you had to do it manually yourself, would literally take you days or weeks. Therefore access to this list not only saves you a great deal of time, it also puts you in a prime position to act fast on property renovation projects and property modernisation opportunities new to the market. Subscribe to the renovationprojects.uk list! 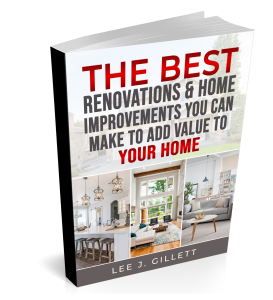 and also immediately receive a free copy of the our new ebook “The Best Renovations & Home Improvements You Can Make to Add Value to Your Home”. Subscribe here. RenovationProjects.uk is wholly owned by Gillett Multi Marketing – one of the longest established internet companies in the world – est. 1997. Contact us.